Frank Spinosa, the TD Bank Regional Vice President in the Scott Rothstein Ponzi scheme scandal, will apparently be changing his plea to guilty, as a Superseding Information has been filed against him, on a single charge of Conspiracy to Commit Wire Fraud, and his case has been removed from the trial calendar. Spinosa allegedly facilitated Rothstein's billion dollar Ponzi scheme, where investments in non-existent court settlements were sold to victims. The filing of an Information generally means that a plea agreement has been, or shortly shall be, entered into, settling the charges against the defendant, in exchange for a guilty plea. The Information alleges that Spinosa used the "prestige and legitimacy of TD Bank, and defendant Spinosa's position as Regional Vice President, to give the Broward investors a false sense of security, and induce them into investing in the confidential investments. " Spinosa also was involved in the preparation of false statements, the so-called "Lock Letters,"claiming that funds were frozen. The change of plea hearing has been set for October 8, 2015. Will Spinosa's cooperation result in new indictments against other individuals, especially senior TD Bank executives ? We cannot say, but there may be Statute of Limitations issues that bar new charges, in some cases, though it is possible that certain Federal conspiracy laws might be applicable. The lack of a trial, where testimony and documents might have further clarified the role of TD Bank in the Rothstein Ponzi scheme, will unfortunately fail to transparently reveal the bank's internal actions to the public; the full extent of its involvement will remain unknown to the public. In 2016, unless certain states upgrade the security in their driver's licenses, those means of personal identification will be insufficient for commercial airline travel, entry into US Government buildings, and other restricted government areas. 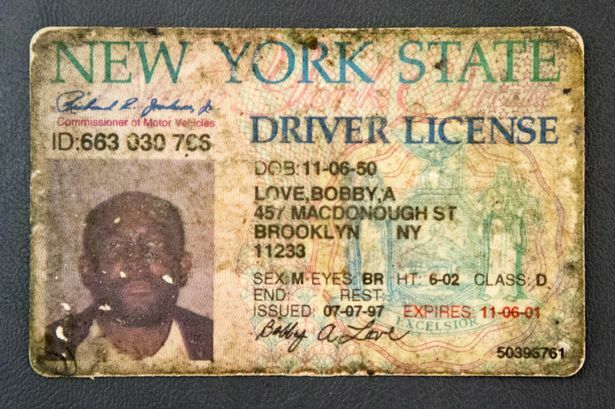 I suggest that, in your Customer Identification Programs, you immediately downgrade these items to supplemental ID only; do not accept them as primary means of identification. (A) There are insufficient security features built into the cards to meet Federal standards promulgated several years ago. (B) The state has insufficient verification of identity, or immigration status, in its licensing process. Listen, I get it; some of the states have privacy issues, regarding the ability of the Federal Government to have ready access to this information, but since counterfeit licenses are an easy method for financial criminals, and terrorists, to gain access to a US bank account, I agree that the points made by the Department of Homeland Security are valid. These outdated licenses are just too easy to counterfeit. If the US Government says that the licenses from the above jurisdictions fail to meet its standards, then I suggest that you hereafter require any new bank customers, with identification from those states, to produce an additional, primary means of photo identification, such as US Passport, or Passport Card. In a clear demonstration of how the Panamanian Supreme Court of Justice is the biggest obstacle to reform in the country, Justice José Ayú Prado, who is in charge of the Financial Pacific insider trading case against former President Ricardo Martinelli, as refused to disqualify himself, notwithstanding a clear conflict of interest. Call for him to step down have been ignored by the justice, who is himself under investigation for corrupt activities, namely accepting bribes to fix cases. Ayú Prado, who was appointed by Martinelli, was also the Attorney General of Panama when the Financial Pacific/Petaquilla Mining scandal broke, several years ago, and he failed to conduct an investigation into allegations of illegal activities, committed by Martinelli and many in his Cabinet. It is alleged that many millions of dollars in illegal profits were taken, at the expense of Canadian & American investors who bought the stock at inflated prices. This case illustrates the problem; so long as Martinelli appointees remain on the court, also accused of bribery and corruption, Martinelli will not face justice in Panama. Should the Supreme Court bench be emptied by President Varela, and a complete roster of new justices be appointed ? It may be the only way to truly clean up corruption in Panama; Radical steps are necessary. Counsel for the convicted ams trafficker, Viktor Bout, in a supplemental filing in support of his Motion for a New Trial, asserts that the statement of a Bulgarian national, who was unavailable to the defense during the trial, and beyond the reach of process, proves that a key government witness committed perjury on the stand. Bout states, in his latest filing that "the Mirchev Declaration constitutes newly discovered evidence, and supplied sufficient basis for a new trial. *"
(1) The evidence presented, regarding Smulian's role as a Government operative is strong, at at least calls for an Evidentiary Hearing. (2) While Bout's post-arrest statements may not have been presented to the Grand Jury, the Government's failure to inform the Court of Agent Zachariaisewicz's testimony before the Grand Jury, when seeking a revision of the credibility finding, militates in favor of a New Trial. The case has generated a large amount of global public interest. 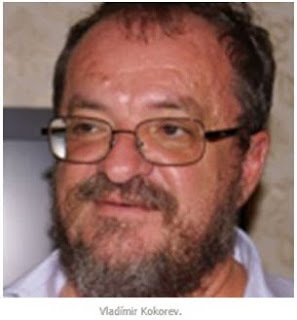 Many Russians believe that Bout's case was politically motivated, and they think that he was entrapped by US agents, into agreeing to supply missiles to individuals whom he believed were Colombian terrorists. Whether the ending of Bout's prior relationship with America's intelligence community was a factor has been hotly debated among those who knew of his involvement with both covert, as well as open, operations, in support of US objectives in Africa, Asia and the Middle East. * Defendant's Corrected Reply to the Government's response to Defendant's Motion for New Trial, based upon newly Discovered Evidence, at 24. A 2015 report, from EU auditors, stating that more than two billion dollars in donations, made to the Palestinian Authority over the past six years, cannot be found, and was not applied to any of the projects which it was intended to support, reinforces my opinion that one simply cannot accept any Palestinian PEPs as clients, for any purpose, as universal corruption means their money is probably diverted from its original purpose. Any international bank that accepts their money does so at a huge risk. Additional information, released this year, reveals that Palestinian PEPs are spending much of the aid and donation funds on themselves. The most prominent candidate to succeed retiring PA President Abbas reportedly spent over $2m on a lavish wedding for one of his children, in Cairo, this summer. Where did all that money come from ? He does not earn a salary from any known source, but does receive aid money intended for Palestinian projects. Another PEP asked for $4m, from a Gulf country donor, so that luxury housing could be constructed in the West Bank, allegedly to block Israeli settlements there, but the area he has proposed for the homes is not near any settlement activity. If this makes no sense, remember that it is estimated that there are 1700 millionaires living in the Territories, where unemployment exceeds 50%, and most jobs are in local government, or an NGO or non-profit organization. (1) Who advise that they intend make a large initial deposit, or to carry large balances. (2) Who have Jordanian passports, but their place of birth is located in Israel. (3) Cannot be identified as business owners, with established businesses that you can verify. If you, by the process of elimination, has established that the prospective client appears to be, by the weight of the evidence, to be a Palestinian PEP, then you would be well advised to decline his business, for some corrupt PEPs have been charged by their government, and their dirty laundry exposed in the media, which would probably cause reputation damage to your bank. Also, what if the PEP funds a terrorist act in the EU or North America, through your bank ? More ominously, some PEPs, are affiliated with Hamas, meaning terrorist funding issues could arise, and even in the West Bank, others have ties to Hamas, and are receiving funding from Hamas' overseas operational headquarters in Turkey. The potential problems are just too high; avoid these potential customers, as part of your risk-based compliance program. Attorneys for the Government of Antigua & Barbuda have ordered a major online offshore information provider to delete an article that it published, accusing Antigua of of selling economic citizenships to Syrian nationals. Antiguan diplomats have reportedly been inundated with inquiries, from other countries, requesting verification that there is no basis in fact for these allegations. Most compliance officers are painfully aware that, due to the lack of reliable information from Syria, it is presently impossible to ascertain whether specific Syrian nationals are war criminals, human rights violators, terrorists, or even Politically Exposed Persons (PEPs). The article which offends Antigua claims that Syrians, now armed with Antiguan passports, are using them to enter the US Virgin Islands. Once an individual arrives in an American possession, he or she is deemed to have entered United States territory, and may enter the Continental United States, without passing through US Immigration procedures. We have previously, here on this blog, covered the allegations that foreign nationals, from countries that are sanctioned by the United States, Such as Iran & Russia, are reportedly obtaining Antiguan passports through the citizenship by investment program. Allegations of large payments made to passports, and of widespread governmental corruption in the passport program, are disturbing, and represent a clear & present danger of possible terrorism. Compliance officers, who are already displaying caution when dealing with passport holders from the Federation of Saint Kitts & Nevis, due to reports of passport acquisition by high-risk individuals, should consider whether to add Antigua & Barbuda to their list of possible problem jurisdictions. At the very least, they should carefully examine the place of birth of the potential client, to see whether he or she might be holding an economic passport, and therefore be high-risk. In any large Ponzi scheme, even those on the fringe must face justice. 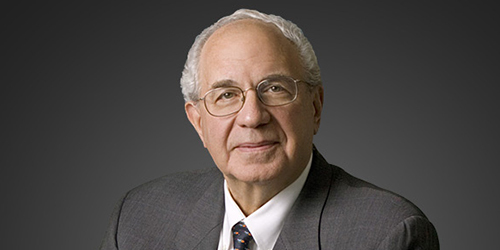 Paul Konigsberg, the New York accounting firm executive who assisted Bernard Madoff in his massive Ponzi scheme, but rendered substantial assistance, in the subsequent Federal investigation, has been disbarred, thereby losing his license to practice law in the State of New York. Konigsberg, who did not receive either prison time, or any form of probation or supervision, from the District Court at sentencing, was required to forfeit $4.4m, which represented the amount he earned from his business with Madoff. His age (79) was probably a factor in the extremely lenient sentence handed down by the District Judge. Technically, he was sentenced to Time Served, but he had bonded out shortly after his arrest. (1) Conspiracy to falsify books & records of a broker-dealer, and of an investment adviser; and obstructing and impeding the due administration of the Internal Revenue Service. (2) Falsifying records of a broker-dealer. (3) Falsifying books and records of an investment adviser. The defendant, who attempted to resign from the bar, through an application filed after his guilty plea, had his petition denied, as he was automatically disbarred, by virtue of his felony conviction. (Appellate Division Case No. ; 2014-06085). If you were paying attention to detail, as you should, you may have noticed that the FARC thus far has stubbornly refused to apply its billions of dollars, earned from narcotics trafficking, kidnapping, extortion, and other forms of mayhem, to aid victims of the 40-year civil war that it started. This means that, pending the final solution of all phases of the agreement, whereby the FARC will lay down its arms, and rejoin civil society, all that narco-cash remains in its bloody hands. Just as some forward-looking intelligence officers "liberated" wealth entrusted to them for government operations, when the Soviet Union collapsed into Russia and other states, you can expect some corrupt FARC leaders, no longer committed Communists, but now wealthy beyond their wildest dreams, with drug profits and other criminal proceeds, will be wanting to divert that money for their own use; after all, who will miss it ? The first thing that those opportunists will do is move funds out of the tax haven accounts where they presently reside, construct a credible cover story as to the Source of Funds, and transfer it to safer jurisdictions. Assuming that the final deal between the parties is a year away, or less, they will now be planning how to take the money and run with it. This means that one should be alert for new clients, with substantial assets, who profess to be wealthy, successful Latin American businessmen. While they may employ local counsel, when they do enter your bank, their Colombian Spanish slang may give them away, or their thin corporate cover. In any case, be aware that they are coming, and soon; Watch for them. The Cayman Gang of Four, Sharon Lexa Lamb, Derek Buntain, Ryan Bateman, and Fernando Mota Mendes, employed techniques commonly used by money launderers and financial criminals. The purpose of these strategies was to deceive the victims, hide the true criminal purpose of their operation, and cover their tracks while taking illicit profits, and diverting the victims' money to their own use. (1) Telling the victims that their money was going into special accounts at the Bank of Butterfield, and showing the purported account information in the wire transfer data given to them, when, in truth and in fact, the money was all going into trading accounts, in the name, and under the control of fraudster/trader Four member Ryan Bateman. The wire transfer instructions, which I have seen, perpetuate this myth, giving false comfort to the victims. (2) Purchasing shelf corporations in the British Virgin Islands, all of which were bearer share companies, for the victims. A shelf company (not to be confused with a shell company, which is a corporation without any business or assets) is one that was formed years earlier, by a corporate service provider, in a tax haven jurisdiction, to literally sit on the shelf until sold. Shelf companies appear to be, by virtue of their age, existing and operating entities, actually in business, when this is not true. The corporate documents bear this out. (3) Moving victim funds between companies with deceptively similar, or virtually similar, names, formed in separate jurisdictions, to make transfers seamless, or appear to be merely internal transfers, when they are actually international in scope. Bateman had companies with the same names as his Cayman entities in Panama, and one in the UK. (4) Trading in securities in well-known old line financial institutions in the United States, showing the money being traded as that of the fraudsters' companies, and not the property of the victims. Two prominent banks, one in Canada, and one in the US, were used in this manner. (5) Leaving only nominal amounts in accounts in banks located in Grand Cayman, so that, in the event that funds are frozen, there will only be a loss, in acceptable levels, for the fraudsters. The accounts were "swept," or emptied, and the vast bulk of funds sent overseas. While amounts frozen by the banks, when they received actual notice that financial crimes had occurred, are in the low seven figures, they only represent less than one per cent of the missing amounts. As you can see, the Gang of Four have used tried-and-true tactics of financial criminals to obtain, launder, and retain the proceeds of their criminal activities. The parent entity for the above is BCB Holdings, Limited. Readers interested in the details of how the tax evasion operations are conducted in Belize are advised that there is a detailed memorandum of law, in support of the petition, as well as an affidavit of the Internal Revenue Agent in the Offshore Compliance Initiatives Program. The complete text of these filings can be accessed here**. The District Court has approved those requests for information,which requests data on US taxpayers who has direct or indirect interests in any accounts in those Belize banks named, and the corporate service provides, between 12/31/2006 and 12/31/2014. There were no further action requested, and the Court administratively closed the case on 9/18/2015. *In the Matter of the Tax Liabilities of: John Does, Case No. : 15-mc-23475-UU (SD FL). 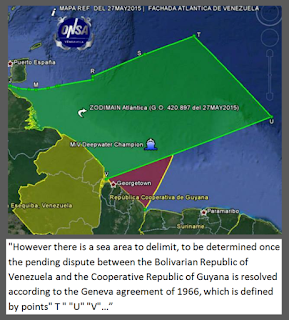 The Government of the Cooperative Republic of Guyana has asserted that Venezuelan has deployed a large contingent of its military to the border between the two nations, raising the risk that President Nicolas Maduro, suffering from a failed domestic economy, and a falling approval rating, will seek to divert attention by using force take Guyanese territory Venezuela is now claiming, notwithstanding a century-old treaty. 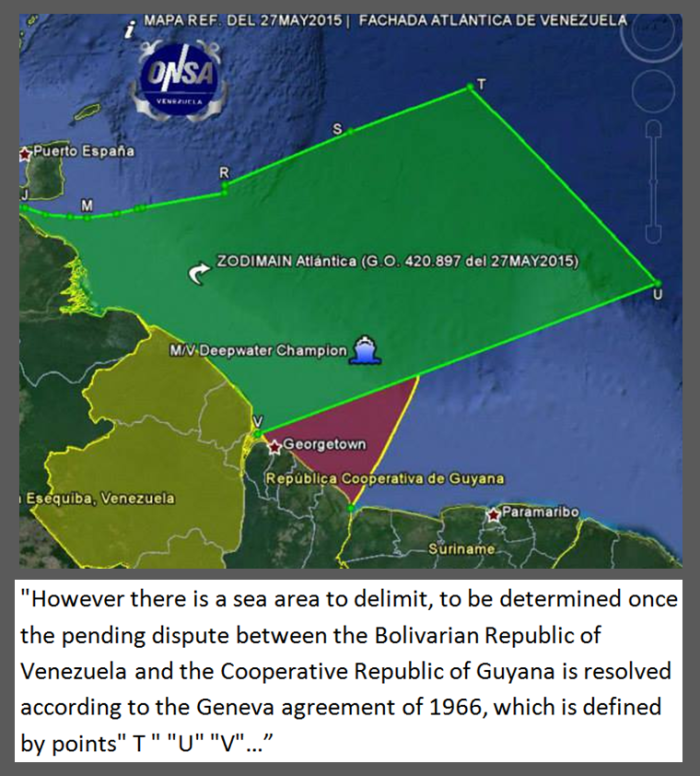 The offshore territory claimed would, if conceded by Guyana, effective render it landlocked, as the small remaining national territorial waters would be surrounded by those of Venezuela, and neighboring Surinam. 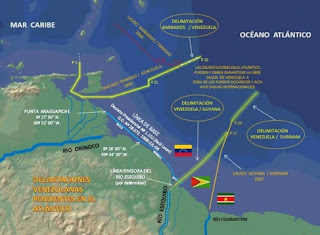 Whether or not Venezuela believes that the the United States and the European Union will ignore such action, and limit themselves to diplomatic protests, as occurred when Russia invaded Crimea, Country Risk for Venezuela, as elevated as it is presently, will climb off the charts if a cross-border invasion ensues. In that event, widespread US and EU sanctions should be expected. OFAC sanctions would block the repayment of outstanding bank debt, as well as accounts receivable owed to clients and bank customers. Therefore, immediate action, by US & EU banks, to limit their financial exposure to Venezuelan clients, as well as corporate entities based there, would constitute a prudent response at this time. 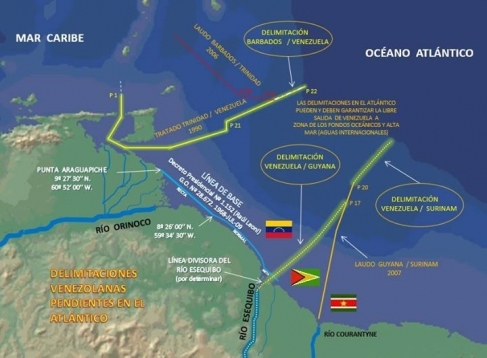 Though reasonable expectations are that military action will not occur, the leadership in Venezuela has been irrational in the past, and should not be trusted to act rationally. If you are a close follower of events in Grand Cayman, you know that, this past summer, in a futile effort to silence the only local Cayman media source that was exposing Ryan Bateman, one of the fraudsters in the Gang of Four, as well as Fernando Moto Mendes, the successor Managing Director of the insolvent B & C Capital, Ltd., Mendes filed blackmail charges, with the Royal Cayman Islands Police Service. Mendes had the temerity to go after the editor of a small web-based news service. Of course, reporting the truth has never constituted blackmail in any English common law jurisdiction that I am aware of, and the charges went nowhere. It was merely an illustration of the desperate moves of the Gang of Four, who are looking more and more like career criminals each day, and obviously feeling the heat. Now, the Gang of Four, specifically those members of the quartet who are not on the run, meaning former Dundee Bank Senior Vice President & Director, Sharon Lexa Lamb, and B & C Capital MD, Fernando Moto Mendes, have now filed blackmail charges against yours truly, as well as one of the victims of the scheme, and an intelligence analyst who has been a whistle blower in this matter; Imagine their arrogance. Obviously, the charges are not only without any factual basis, either in fact, or at law, but demonstrate the level of desperation of the Gang of Four, whose misdeeds are presently reverberating not only all over the Cayman Islands, but across Canada as well, where the Four are facing a large number of unhappy, and newly penniless, pensioners, many of whom have lost millions, in the Four's Ponzi scheme. We have been following the unfolding developments in this Ponzi scheme in the Cayman Islands. You can expect to see the venue now move to the Canadian Province of Ontario in the coming days; Watch for it. If you are not paying attention to the financial situation in the Bolivarian Republic [sic] of Venezuela, the local currency, the Bolivar, sunk to record lows on the unofficial, parallel market. One US Dollar now commands 730.65 Bolivars, meaning that on Bolivar is now worth less than 1/7 of one cent. Needless to say, for Country Risk purposes, any new exposure of capital, including building a brick-and-mortar presence, is not recommended, and those companies and individuals who actually hold dollars may have obtained them through illicit (i.e. drug trafficking) sources pose a clear and present danger to do business with. In short, stay out of the Venezuelan economy for the short-term, especially including any entities flush with dollars. In a effort to head off criminal charges, in as many as three possible jurisdictions, the Cayman Islands Gang of Four, together with their principal adviser, William G. (Bill) Tynkaluk, is seeking to pay off victims. They have offered to refund their money, and now are even stating that they will disgorge the profits earned, by illegally using the victims' money. Sounds like good news, you say ? No so, if you consider the legal ramifications of any "refund." First of all, the victims' money, which was supposedly being kept on deposit in a special account at the Bank of Butterfield's Cayman subsidiary, is gone. Any payment to victims, made by, on on behalf of, the Gang of Four will obviously be funds obtained from other investors, which is being diverted to pay off the complaining victim. The Gang is using the Proceeds of Crime, which constitutes money laundering, a felony which can bring as much as a fourteen-year sentence in the Cayman Islands, under its laws, and 20 years in the United States ( the victim is a US resident). The victims could later be required to pay over all the money they receive, to a receiver accumulating assets for distribution to this Ponzi scheme. Second, there may be Obstruction of Justice, for there is a pending criminal investigation, and the Gang, as well of their adviser know of this. paying off victims, to insure that they do not cooperate with law enforcement, is a serious matter, and one that the Gang, or Bill Tynkaluk, appear to have disregarded. It is certainly something that law enforcement agencies will certainly consider at the appropriate time. Can any of them spell tax fraud ? Third, when Sharon Lexa Lamb told a Canadian national, but holding Permanent Resident status in the United States, to cancel his residency, keep his "refund' in the Cayman Islands, and return to Canada, I can see a number of tax offenses that both of them could be charged with in the US. How William Tynkaluk, who has been a financial adviser for more than forty years, and who is supervising and orchestrating this charade, could concede that there will not be consequences, is totally beyond belief. The Gang of Four, and Bill Tynkaluk, are clearly compounding their situation, by adding additional crimes to their pile of problems; they may now be drawing their victims even deeper into their web, through further manipulation and deceit. ARE YOU BEING ASKED FOR LARGE AMOUNTS OF US DOLLARS FOR A MIDDLE EAST BANK CLIENT ? Reliable reports from the Middle East state that Iran, unhappy with a visit to Saudi Arabia by the senior Hamas leadership, which based in the Gulf country of Qatar, is now sending US Dollars, literally in suitcases, to Hamas in Gaza, to support its terrorist activities. So who is passing it all those greenbacks ? It is obviously either Kurdish banks, or bankers in Baghdad; both groups have a long history of sourcing dollars for Iran, with little or no interference from the United States, which sees both groups as supposed allies, and does not want to rock the boat, by calling its "allies" on terrorist financing charges. You probably find that to be repugnant, but American foreign policy often trumps both anti-money laundering, as well as terrorist financing, for short-term goals that later turn out to be a mistake. Therefore, as the compliance officer at an international banks with correspondents in either the Kurdish region, or the capital of Iraq, you may want to ask yourself: have any of these banks lately increased their demand for bulk dollars, and is there no visible business reason for those requests ? If so, you may want to inquire further, lest you get hit with an OFAC civil money penalty, by the next US administration, for facilitating terrorism. When investors placed a call to Sharon Lexa Lamb, in Grand Cayman. to get immediate access their funds, when needed, they were often given flimsy excuses, most of which could not withstand any serious inquiry. The reason for this is because the Cayman Gang of Four were covertly trading with their money, without their permission, and needed time to come up with some cash from somewhere; the classic indicator of a Ponzi scheme close to implosion. Robbing Peter to pay Paul. 1. "Your money is clearing at Butterfield Bank." Any investor with even a small amount of banking experience knows that funds on deposit were long since cleared, unless the Gang of Four had just recently deposited money, to meet the clients' demand for cash. These were represented to be individual accounts, titled in the investors' own names; There were no such accounts. 2. "Butterfield Bank wants details on Source of Funds for the money you want to withdraw and/or the identity of the Beneficial Ownership of your corporation." Utter nonsense; compliance officers require such information at account opening, or when deposits are made, NOT when the money is coming out. Also, Lamb and co-fraudster, Derek Buntain were the directors of the clients' companies, and well known to the bank. Of course, we must remember that Sharon Lexa Lamb was very astute in misrepresentation of material facts, when it came to Dundee Merchant Bank ( a/k/a Dundee Bank) and Dundee Leeds. She actually had the gall to answer the telephone " Dundee Leeds," when a rudimentary Internet search would immediately confirm, on the firm's own website, that it was out of business; It had beEn sold off. Lamb also sought to pacify, and deceive callers, by inferring that Dundee Merchant Bank still existed, and that the victims' money was safe. in truth and in fact, the bank was in liquidation, had no assets, nor accounts anywhere, and its small physical location was closed. Why was Dundee Bank in Grand Cayman liquidated ? Some sources say it was ordered to do so by Canadian banking regulators. We surmise this because the bank only had a Class B license, which required an international bank as a functioning parent entity, and Dundee Bank in Canada had been sold, years before. Lastly, Miss Lamb appropriated the Dundee Merchant Bank telephone number, so that she could field calls going to her, in a small office in Grand Cayman, and pretend that all was well, when the sky was literally falling in upon the Cayman Gang of Four, with Ryan Bateman a fugitive, Derek Buntain missing, and Fernando Moto Mendes, a known bad apple, purporting to be the new Managing Director of B & C Capital, the shell company trading, and losing, client money, $ 450m or more. William Tynkaluk, the Leon Frazer Director who sought to give a victim of the "Cayman Gang of Four" trading scheme millions of dollars in cash, in exchange for his silence, and who is a key figure in the scandal, whereby retired Canadian investors' funds were illegally diverted into the hands of a known offshore fraudster, has implicated one of Canada's major financial investment advisers, as the brains behind the scheme, and the originator of the criminal concept. Tynkaluk alleges that Ned Goodman created the fraud, and assisted in its implementation, strictly as a means of covertly earning illicit profits for some of Canada's biggest investment firms. Tynkaluk, who has admitted his participation in what was a criminal enterprise, asserted, to both victims of the scheme, as well as other witnesses, and who has agreed to cooperate, and testify, in any future court proceeding, stated that he & Ned Goodman contrived a fictitious threat, to convince wealthy Canadians who had assets at Leon Frazer, to move their wealth offshore. This scheme reportedly was conceived by Goodman, at a closed meeting of investment advisers, that Tykaluk, among others, attended. They thereafter advised the victims that Canada was about to change its laws, and that their liquid assets, as well as securities, would be targeted for additional taxation. There was no factual basis for this "opinion," but it served to motivate the victims to follow their advice. Tykaluk facilitated the movement of funds out of Leon Frazer, and out of the Canadian banks where they had been safely on deposit. Evidence in the possession of victims' attorneys shows that the clients' funds were directed to what were represented to be their own personal accounts, being opened for them at the Bank of Butterfield (Cayman) Ltd., but in truth and in fact, the money was going into Dundee Merchant Bank (Cayman) accounts at Butterfield. That specific misstatement of material fact, in writing, came from Derek Buntain, now missing from Grand Cayman, but then the president of Dundee Merchant Bank, and one of the notorious Cayman Gang of Four, together with Sharon Lexa Lamb, at that time the Senior Vice President & Director of the bank, who handled a large portion of the illegal transactions. The illicit trading, and undisclosed taking of profits, only a small percentage of which were actually distributed to the clients, followed. The scope of this criminal enterprise only became known when investors/victims asked for disbursement of their money, only to be told that it was with the Gang of Four fugitive, the stock trader Ryan Bateman, who absconded from a Cayman criminal case, and who is also missing, with their money. Notwithstanding that several Canadian nationals involved in securities sales have been identified as principal participants in an illegal trading scheme that is looking more and more like a Ponzi scheme, none of the major news or financial media in Canada has seen fit to cover it. This is unusual, especially since Caribbean media, in several countries, is reporting on the matter, which Cayman authorities believe involves projected investor losses that exceed USD$500m. I am surprised that Toronto and Calgary newspapers are not reporting it. Is there an unofficial news blackout on the Cayman Islands Gang of Four scandal, and if so, why ? It may be because the financial service firms where these fraudsters work place large ads in their papers, and their management does not want that lucrative source of income to stop. Can anyone out there spell conflict of interest ? In my humble opinion, the second reason is due to the fact that some of these same prominent financial professionals, who have been accused, by the victims, of fraud, grand theft of investor profits, and money laundering, frequently are contributors of financial and market advice in these very media. One wonders whether any print media, including its online versions, which accepts free content from contributors, is doing the investing public a disservice, when it ignores allegations of misconduct directed at its own sources of information. This is a serious breach of journalistic ethics, when media puts it own interest ahead of that of the public. When civil litigation, and the filing of criminal charges, or the initiation of regulatory action, occurs, it is generally too late for investors to act to protect their interest. When media is aware, it is duty bound to report, early on, regarding any news relevant to its readers. Anything less should be regarded as journalistic malpractice. These new Treasury regulations are not effective until this coming Monday, the 21st of September, but if you have clients who intend to get involved with Cuban transactions immediately, or already are, you will want to review this document. See the complete text here*. Ryan Bateman, the fugitive Canadian rogue trader who is wanted in Grand Cayman, is believed to be living in the Republic of Panama. Bateman, together with his brother, Cody Bateman, are both senior officers at B & C Capital, Ltd., the Cayman company that reportedly engaged in over $450m in illegal trades, with client funds. Their activities in Panama may provide a clue to their massive fraud, which many have begun to label a Ponzi scheme, and properly so. The Bateman brothers maintained, and operated, what we call "Mirror Corporations." These are companies, formed by fraudsters,whose names are so deceptively similar to those which are publicly in use, that the illicit transfer of funds between the two group of entities can be accomplished, often without discovery by others. This is a favorite tactic of financial criminals, who have plans for money that is not within the contemplation of their victims. 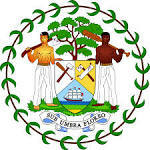 In plain English, the Cayman islands companies operated by Ryan Bateman have corporate counterparts in the Republic of Panama. B & C Capital, Ltd.
B & C Capital Inc.
By simply omitting the suffix (Ltd. or Inc.), the fraudster can move money easily, and without alerting either victims, regulatory authorities, or law enforcement, for only those people with attention to detail will notice the different suffix, or lack of one, in a document, wire transfer or negotiable instrument. When investigators delve more deeply into the massive fraud/Ponzi scheme, they will see these anomalies. Note also that there is an interesting additional Panamanian company, one that does not have a Cayman Islands, or UK, counterpart: Bateman Depository, Inc. We might speculate that this entity was used to hold funds, with or without client consent and knowledge. Remember, the Batemans also own an unlicensed wealth management company in Panama, Republic Asset Management Corp., and Republic Securities Corp., another unlicensed entity. As the investigation unfolds, more sordid details surrounding the Gang of Four scandal continue to surface; civil litigation, as well as criminal charges are expected imminently, according to informed sources. Adam Szubin, formerly the Director of OFAC, and now the Acting Undersecretary for Terrorism and Financial Crimes, at his confirmation hearing, asserted that, should any Iranian bank, released from sanctions, due to the comprehensive nuclear agreement, re-offend, meaning conducting any transactions with Hezbollah or the IRGC Quds Force, American sanctions will be reimposed forthwith. If your international trading clients are contemplating commerce with Iranian companies, the odds are those companies bank with Iranian banks currently sanctioned. considering that Iran has a well-constructed web of financial institutions, in third-world countries that do not comply with any international WMD and ballistic missile sanctions, the newly-unsanctioned banks might be tempted to utilize those pathways to continue to send funds to Hezbollah and Quds Force, and thereafter possibly be exposed. You do not want to be sending funds to a bank the day after it is sanctioned again, nor accepting funds, sent to you through a circuitous route, by a re-sanctioned bank. Therefore, it would be prudent to check, twice daily, for any sanctions news, involving Iranian banks, at all times when your clients are engaged in ongoing transactions with Iranian clients, suppliers, vendors. or customers. Set alerts for all OFAC announcements, and have a senior member of your staff be the designated monitor of financial and sanctions news from Iran. To do anything less results in increased risk; watch those post-agreement sanctions closely. Do you have clients affected ? Do they have pending funds transfers of receivables ? Watch yourself here. Sharon Lexa Lamb and Derek Buntain, two of the Cayman Gang of Four, the fraudsters who have cheated Canadian & American investors out of at least $450m, have added insult to injury by flatly refusing to resign, as directors, from the investors' companies that they hijacked when they took over client bank accounts, and passed the money on to their trader associates in the group, Ryan Bateman, and Fernando Moto Mendes. Miss Lamb, who has been deceiving investors into believing that she was acting on behalf of either the non-existent Dundee Bank, which was liquidated, or Dundee Leeds Management, which was sold off, and is no longer in business, has been pacifying investors with a bogus tale about how those who are complaining loudest about the Gang of Four are all blackmailers and extortionists, and not whistle blowers. She can do little else but deny & delay, for her associate, Ryan Bateman, has either lost the investors' money, and/or absconded, and it appears that the Cayman Islands will be having its fifth major financial scandal, again with a total loss for most investors, in recent years. When a court of competent jurisdiction ultimately metes out justice to Lamb, and the Gang of Four, whose incredible arrogance, and obviously dilatory tactics, could serve as an aggravating factor, both at their sentencing, and when civil judgments are entered, the consequences will be severe. WHY HAS THE US NOW DESIGNATED SPECIFIC HAMAS LEADERS ? If you are a daily reader of the Treasury website, as you should be, you know that the United States has sanctioned a senior Hamas leader, specifically one who has overseen terrorist acts for many years, Salih Al-Aruri, the Hamas cell leader in Turkey. This individual is a career terrorist, who has a history of planning and executing attacks upon civilians; we properly refer to him as a monster, which he is. Other Hamas agents were also named, who happen to be some of its money launderers abroad. Why now individually sanction them ? Hamas as an organization has been an SDGT for many years. True, they are from the military segment of Hamas, and are part of a radical fringe that desires permanent hostilities against Israel, without any chance of negotiating a political settlement, but to believe that this is an attempt, by the US, to divide Hamas, may be missing the point. Does Treasury have a different goal in 2015 ? We note that Hamas has ordered its leaders and officers to avoid any international travel, and this may not be because of the recent arrests in Sinai, by Egypt, of Hamas agents. We tend to forget that Hamas leaders have all accumulated a substantial amount of wealth, from foreign donors with their own political agendas, from "taxes" they levied upon covert tunnel commerce into Gaza, and from monopolies awarded them upon specific type of business activities inside the territory. Most qualified analysts estimate at least 1700 Gazans (read that Hamas) are millionaires, complete with luxurious villas in Gaza, homes in Jordan and elsewhere, and, of course, bank accounts abroad. Were these sanctions, entered against some of the world's worst active terrorist financiers, a prelude to seizing the liquid assets of their leaders ? We know that Switzerland has been a favorite depository for accounts of corrupt Palestinian leaders for decades; Yasir Arafat, and his spouse among them. You can expect that Hamas' leaders, whether they be career politicians living it up in Qatar, or military leaders hiding underground in Gaza, all have their stolen US Dollars in international financial centers, such as Lebanon, Cyprus and Switzerland, for ready access. Perhaps, in the aftermath of the Arab Bank case, certain elements in the American law enforcement community plan to hit Hamas leaders in the pocketbook, through their bagmen and money launderers. Have some of the Swiss whistle blowers disclosed the location of terrorist bank accounts ? We cannot say, but we will be watching. Meanwhile, do you have photographs of the Hamas financiers sanctioned in your files ? A US District Judge in Mississippi recently sentenced a Florida bulk cash smuggler, who was engaged in cross-country pick up & transport of drug cash, to a sentence of only thirty months' imprisonment. Inocensio Villareal, who was detained with wrapped cash amounting to $414,450, had been traveling through the South, was stopped by law enforcement in Jackson County. His sentence also included a $4000 fine, and three years of post-prison Supervised Release. Such a short sentence does not, in the humble opinion of this writer, operate as either a deterrent to others, nor a sufficient amount of prison time present the defendant from considering future criminal conduct, upon his speedy release. Unless sentences of at least five years are meted out for bulk cash smuggling, they will be lined up from Miami to El Paso, to move cash to Mexico, to make easy money. Panama's fugitive ex-president, Ricardo Martinelli Berrocal, in a telephone interview with a Panamanian radio station, has denied that he was involved in the rampant criminal activity that anti-corruption prosecutors have filed criminal charges upon. Martinelli alleges that a corrupt Supreme Court of Justice, acting upon the orders for the country's current leader, President Juan Carlos Varela Rodríguez, has had charges filed against him for purely political reasons. Claiming that, as a rich man, he had no reason to steal the millions of dollars that he is accused of accumulating illegally, through corruption, insider trading, and other crimes, Martinelli says all the witnesses against him, especially the former Superintendent of Securities, Ignacio Fábrega, are lying, at Varela's request. Fábrega has directly implicated him in the massive Financial Pacific scandal. The fugitive continues to claim that he is living happily in Miami, though no major media have either seen him in person, or been contacted for an interview. Most Panama watchers believe that he, and his entourage of former ministers and agency heads, some of whom are wanted in Panama, are in Paraguay, in an estate Martinelli purchased while still in office. Will Panama ever bring him to justice ? We cannot say, but he says he's not coming back. (1) His residence in Grand Cayman is up for sale, or even lease. If you are a regular reader of this blog, you have seen photographs of the home in a prior article. 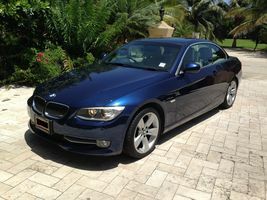 (2) His partner in crime, one of the other members of the Gang of Four, Fernando Moto Mendes, is seeking to sell Ryan's BMW, using an online service that is limited to actual physical residents of the Caymans. A photograph of the car can be seen here. Ryan's other four automobiles can reportedly be found parked on the property of one of his other partners in crime, Sharon Lexa Lamb. (3) Bateman, should he return to Grand Cayman, would be immediately arrested, for failure to appear at trial for assault ands battery in a domestic case. His bond was estreated when he failed to return from a purported visit to Canada. Bateman has permanently relocated to the Republic of Panama, where he and his brother Cody operate a shell company masquerading as a wealth management corporation. With both Bateman, and the final member of the Gang of Four, Derek Buntain, missing and presumed to have fled to avoid prosecution, there remain only two players to face Cayman justice: Lamb & Mendes. Canadians: have you seen this man ? Vladimir Kokorev, the Russian businessman linked to an alleged money laundering scheme involving President Teodoro Obiang Nguema Mbasago, the leader of Equatorial Guinea, has reportedly been taken into custody in Panama. Reliable sources state that Kokorev, together with his son, Igor, were arrested when they arrived from New York City, where the family has real estate holdings. Spanish media has, in the past, alleged that Kokorev, who previously lived in Spain, and who had reportedly receiving payments made to his Panamanian corporation's account at Banco Santender, allegedly laundered $26m for the Obiang family, and that this money was subsequently used to make substantial purchases of real estate for Obiang. A report of an investigation of official corruption was stated to be in progress. Kokorev has responded that the funds were for maritime services rendered for the maintenance and repair of shipping contracted for by Equatorial Guinea, and he has denied the allegations. A Russian court, sitting in Moscow, later ruled that there was no truth to that story, and, declaring that two prominent media outlets in Spain, El Mundo and El Pais, had committed libel, ordered them to remove the stories. It is not known at this time if the arrest was made pursuant to an extradition request from the Government of Spain. Questions about $35m in siphoned off oil revenue, allegedly diverted by Obiang and his family, brought down an icon of Washington DC banking, Riggs Bank, in 2005. Unless we want to see the Statue of Liberty beheaded, and New York City burning one day, let us remember the lessons of September 11, 2001. 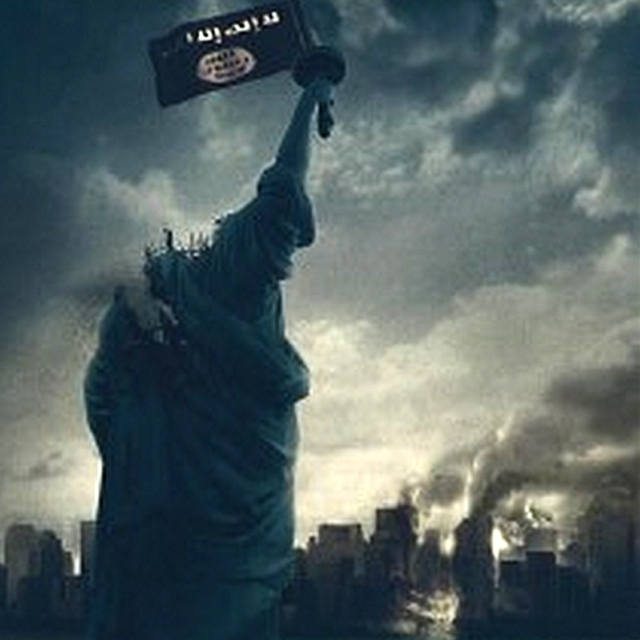 The Western democracies cannot afford to lose the War on Terrorism.